Of course, I gave out a big YAY! And my husband and four year old daughter clapped. When I opened the door for my 11 year old daughter upon returning home after school she asked me, “Mama, did you make it to the shortlist?” and I said of course! She hugged me and cried. I was also happy for another reason; I escaped the penalty. At home, they had decided that if I didn’t make the shortlist I would have to do 50 pushups. Awards in general quickly put the works in the hands of the audience. 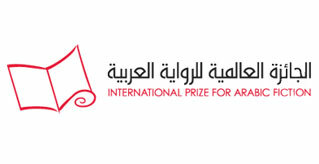 The Arab Booker is still the most exciting and competitive prize in the world of the Arab novel. My novel reaching the shortlist means that in this work I was in control of my technical tools and that my aesthetic and knowledge vision was distinguished and impactful. This is an important point in my career. I will lean on it whenever I feel down or disappointed. Perhaps the next challenge will be what comes after the prize or the list? It must be work. More work and bigger responsibilities. Continuity and improvement are not at all easy. I used to have very strict writing rituals: mostly early mornings with coffee on my desk. Now with ongoing academic research, and family and children obligations I have come to seize any alone time I can get. I wait until everyone is asleep, so it is very late, or very early, before they wake up. It is very exhausting and difficult to adjust your writing mood to other people’s schedule. Sometimes I need to edit my writing in a café in Amman or to travel for a couple of days. Generally, I cannot tolerate having another person breathing next to my characters. There must be complete silence. I used to write in pretty journals, which I carefully selected from faraway stores during my travels, and pencils and erasers like those of schoolchildren. But now I write directly on a laptop – which is more efficient in terms of time and organization – and probably more professional. With writing turning into a profession, I have come to write for the sake of writing. It is my job. Add to that the joy and accomplishment that accompanies all the stages. Writing is what balances my life in this world that is flooded by cruelty and chaos. I write for those who have the courage to read what could change their convictions or what could cause them to confront themselves. I express my stances through responsible writing. So writing is an expression of my position from the world, not from people. It is not a vengeful reaction but something deeper. When my writing stumbles, I stumble as a human being. When a writer says to you that writing is an act of life against death, they are being completely honest. It is bigger than the daily event, than geography and than constricted, imposed or inherited identities. To a writer it is their conscience, and let us imagine what a writer would be without a conscience. Which writers have influenced you, as a novelist? It’s unfair to mention only one writer, as I’m a longtime avid reader. I’ve been through all the phases of reading that an Arab reader who wants to become a writer should. I grew up with the old Arabic poetry and drifted towards the classical Arabic novels by Naguib Mahfouz, Ehsan Abdel Koddous and Abdel Salam AlUjaily. In these works are scenes that built my memory, such as the sneaking up scene in Mahfouz’s trilogy. And AlUjaily’s The Obscure has left an impact that will never leave me, particularly the flooding scene, as wooden shelves float above the water that will flood the homes due to the building of the dam. The owners’ hands cannot reach them and we hear the painful moan of a sad dog. I was influenced by Tolstoy’s Anna Karenina, Dostoevsky’s The Gambler and Crime and Punishment, which I read later in university. Also, Flaubert’s Madame Bovary, Montesquieu’s Persian Letters, Hemingway’s The Garden of Eden and Whitman’s Leaves of Grass. Because of my literature specialization, I was destined to read books that would not have been chosen by non-specialists such as works of Al Jahiz and Al Ma’arri. I like travel literature. A wonderful book came out recently called Los arabes del mar (Arabs of the Sea) by Jordi Esteva which was translated into Arabic by Talaat Shahin. And memoirs and biographies such as Out of Place, by Edward Said. One of my favorite books is Homer’s Iliad. Sophocles’ tragedies, Cicero’s speeches, Aristotle’s Poetics, The Jew of Malta by Christopher Marlow and Shakespeare’s Hamlet. There is also No one Sleeps in Alexandria and everything else by Ibrahim Abdel Meguid. And Balthasar’s Odyssey, In the Name of Identity and Samarkand by Amin Maalouf. And the great novellas Silk by Alessandro Baricco, The Movie Speaker by Hernán Rivera Letelier and The Diving Pool by Yoko Ogawa. There is a deep influence by a Swedish writer which I seem to have reflected in Sky Close to Our House. The impact appears after a long time. I discover that a work has impacted the structure or drama of my work. Or that I am repeating a theme I read one day or maybe a phrase or hand or facial gesture. Then we discover later that some characters stay with us but we don’t feel their presence until we start writing. To what extent are your characters based on real life? It is usually a tossup between the real and the fictitious to varying degrees. I always thought I created characters that were 100% fictitious, only to discover years later some of their details belong to real people who existed in my life or that I’ve heard of or read about. And this is the genius of the human mind which reproduces details and creates an amazing new thing. Generally, I love defeated characters who fight just to exist, but the world lets them down. I sympathize with them and feel I don’t do enough for them. I love real fragility and tragic heroes and prefer oppressed women who are strong in their ability to forgive. I prefer men whose defeat did not stand in the way of their generosity. Those who are capable of giving and who are not afraid to admit their love. I hate cowards and miserly people and enjoy depicting them meticulously and repulsively. Are you also, like the heroine of your novel, fascinated with geography though your specialization is literature? Is that why the novel moves between different places? I am fascinated with studying the history of phenomena and things and not just literary phenomena, as this helps anticipate what is next. But I really did research human and physical geography and meteorology, in preparation for writing my novel. At the time, everyone was talking about wars and their influence on climate change. I was attending seminars about this and I travelled to several places and discovered their common history and geopolitical relationship to the Arab World. Wars disconnect geographical contiguities and geography always constitutes a political threat and is a decisive factor in battles. As for history, it flows in wide similar paths, and never changes much.